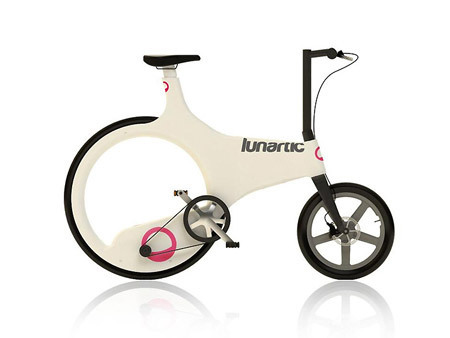 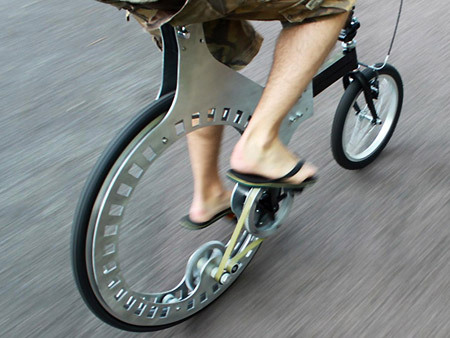 Simply put, the Lunartic Cycle is a bicycle that boasts "a really unique combination of different wheel sizes, a toothed belt drive and hubless rear wheel." 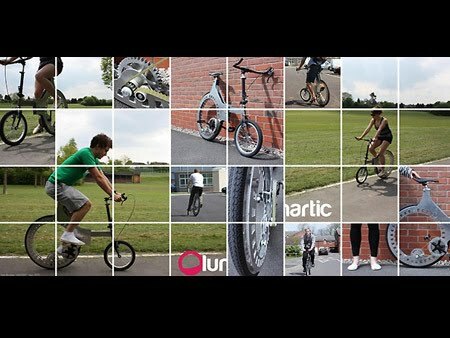 No word yet on pricing or availability. The USP being the gyroscopic effect of a large wheel aiding speed and more road-surface contact adding stability. The small front wheel saves space and enhances maneuverability.